First filter passes the output to the second filter → second to third → third to fourth → etc. uri 是 request 请求的路径,e.g. "/query.cgi". * Let's take a simple example. 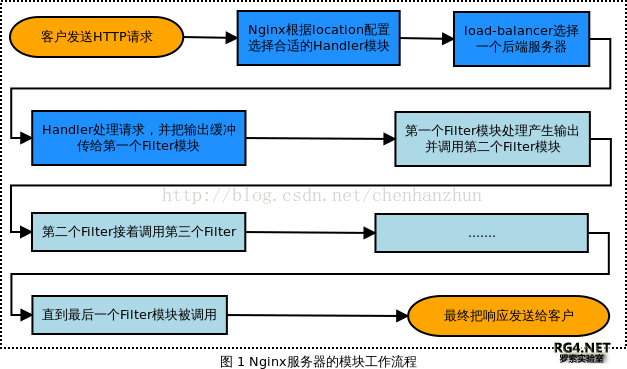 "<l!-- Served by Nginx -->" to the end of every request. buffer is included in the buffer chain we were given. * Super, now the last buffer is stored in chain_link. to process data incrementally so that the client gets something as soon as possible. so that programmers can't leave the chain in an inconsistent state. * For now, manipulate it at your own risk.